The ancient human remains were found using a method that can scan thousands of bones relatively quickly. A tiny bone fragment recovered from Denisova Cave in Siberia caused a big stir last month, after scientists showed that it belonged to an ancient-human hybrid they named Denny, who had a Neanderthal mother and Denisovan father1. Now, the researchers who uncovered Denny’s remains have discovered four more hominin bones from the same cave. These discoveries are part of an effort to identify early hominins by combing through thousands of unidentified pieces of animal bone, many of which have been left to gather dust in warehouses belonging to museums and research institutes. “We get very, very excited” when a new hominin bone is discovered, says Samantha Brown, an archaeologist at the Max Planck Institute for the Science of Human History (MPI-SHH) in Jena, Germany. Archaeologists are usually pretty good at distinguishing between the bones of ancient humans and those of other animals. But tiny, crumbled fragments with no clear features pose a challenge. These fragments often make up a significant portion of the remains recovered from archaeological sites, says Tom Higham, an archaeologist at the University of Oxford, UK. At Denisova Cave, for example, most bone material has been broken up over time by animals such as hyenas, rendering identification by eye impossible. “So it just basically sits in storage not doing anything,” he says,. But even these tiny bone fragments contain tell-tale molecular signals that can be used to identify which animal group they belong to. Using a technique called zooarchaeology by mass spectrometry, or ZooMS, researchers can extract collagen — a tough, fibrous protein that forms connective tissue — from a bone and break it down into its constituent units, called peptides. They then look for characteristic ‘fingerprints’ that differentiate the peptides of a hominin from those of, for example, a bear or mammoth. 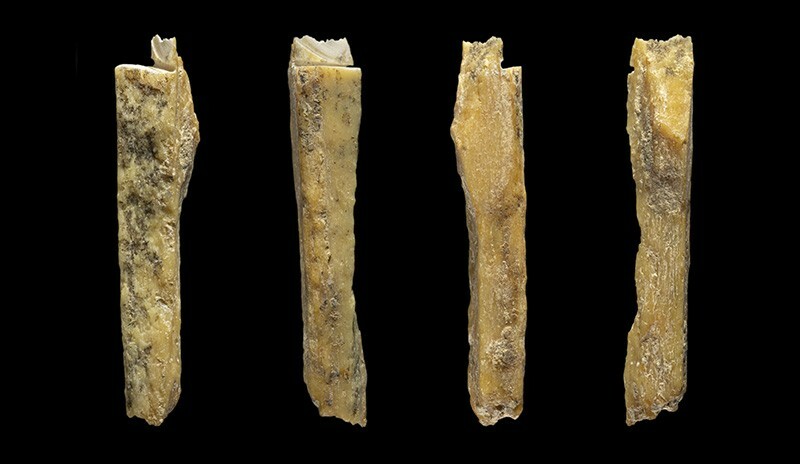 Denny’s bone fragment was the first to be classified as hominin using this technique, described in a 2016 paper before her DNA had been extracted and sequenced2. The team has examined hundreds more bones since then, identifying the four further hominin specimens which they are currently analysing. The latest of these finds is part of a larger new effort, led by archaeologist Katerina Douka at the MPI-SHH. The aim of this project, called FINDER, is to sift through 40,000 bone fragments from sites across Asia, in the hope of uncovering even more hominin remains. The team now plans to run computed-tomography scans and extract DNA from the bone fragment to find out more about its ancient owner. This will enable the researchers to determine which hominin group it comes from — ZooMS alone can’t make such fine-grained distinctions — and to examine how it relates to the other specimens recovered from Denisova Cave. Could it be one of Denny’s relatives? Meanwhile, Douka, Brown and a handful of volunteers will continue to sift through thousands more bone fragments. So far, they have found 1 hominin bone for about every 1,000 animal ones in this cache. At this rate, they could find as many as 400 more hominin specimens. 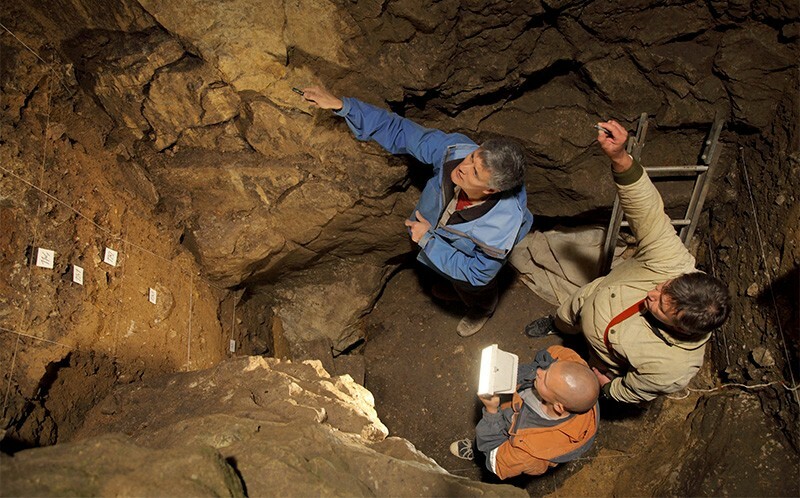 They are particularly keen to discover more Denisovans, given that only a handful of specimens have been found so far — and all in Denisova Cave. Modern humans as far away as Australia and Papua New Guinea have traces of Denisovan DNA in their genomes, suggesting that the ancient humans made it much further east than Siberia. Finding a Denisovan elsewhere “would be a real win for the project”, says Brown. Enrico Cappellini, a palaeoproteomics specialist at the University of Copenhagen, says that he is amazed by what the team has put together. There is no other way to screen such a large quantity of material for ancient human remains so quickly and cost-effectively, he says. Chris Stringer, a palaeoanthropologist at the Natural History Museum in London, agrees. Analysing a huge number of bone fragments “almost on a production-line capacity” will produce interesting results — as Denny has already shown, he says. As the technique is used more widely and more specimens are uncovered, Stringer says, we could learn a lot more about the spread of both archaic and modern humans through Asia. Slon, V. et al. Nature 561, 113–116 (2018). Brown, S. et al. Sci. Rep. 6, 23559 (2016).